With the growing levels of enrollment in universities, more often than not, students find themselves not gaining as much from a lecture due to congestion in the classroom. At the same, costs of education have increasingly been on the rise. These two factors have compromised the net value gained by students, especially those in congested classes. 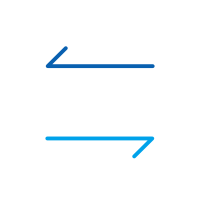 It therefore requires an extra effort on the part of each learner if they have to achieve maximum benefit from any of those courses or classes. The internet offers a lot of learning material; but this may not be customized enough to each course. This is what gives meaning to iTunes. Students from all over the world can access the world's largest online resource center with educational material from leading universities in the world absolutely free of charge. Every student can access absolutely any course on the largest online educational catalogue; from the study of Shakespeare to the study of the cosmos. Those who may not understand their teachers and need further clarification, those who are too busy and want to learn on the go or in the comfort of their homes and houses, and those who may not afford the hundred or millions of dollars to pay for a course at the leading universities could now have a chance to enjoy the benefits of classroom. The added advantage is that you have the pleasure of accessing a variety of lecturers. It is possible that in the next couple of years, iTunes U will definitely give new meaning to the education industry just as i Tunes gave new meaning to the music industry. Whereas universities don't earn from posting content on iTunes U, they benefit in strengthening their brand-names across the globe, strengthening their alumni communities and having the opportunity to give back to society. iTunes U is one of the Apple store's specialized areas that allows for Higher Education Institutions of learning, non-profit educational institutions and K-12 instutions to produce audio and visual content that is then made available for subscription and downloading to learners. 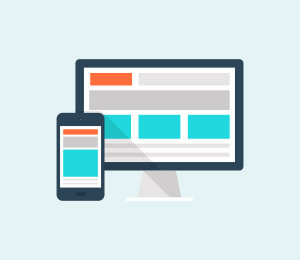 Through synchronizing with mobile devices, users can have the advantage of viewing their educational content on their personal computers or maximizing their time and listen to the content while on the move. iTunes U is said to have started a few years ago (around 2007) with a few universities and institutions posting content on iTunes. The program on iTunes U also includes content from non-higher-education institutions. They include such institutions as 92nd St. Y, The Museum of Modern Art, Public Radio International and Smithsonian Folkways. 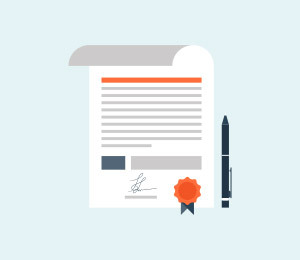 Lastly, it includes content from K-12 educational institutions; the content is from a variety of international educational institutions and state departments of education. 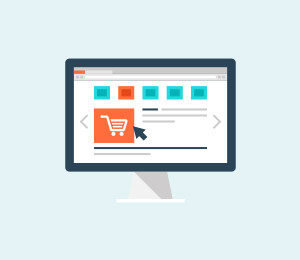 Massachusetts Institute of Technology: MIT has drawn from its strength in delivering online courses and has thus efficiently and effectively delivered content that consciously incorporates online learners (an example is MIT's Walter H.G Lewin's Physics course content). Its other strong points include Introduction to Computer Science and Programming, Introduction to Psychology, Single Variable Calculus, Introduction to Biology, and Physics I: Classical Mechanics among others. You can find topics touching on virtually any course. On iTunes U, MIT offers downloadable free content. You could access the same content from their website. Stanford University: some of the most popular of Stanford University's content are An Evening with Thomas Jefferson, Teaching & Learning, Introduction to Robotics, Introduction to Chemical Engineering, Fine Arts, Film Studies, History, History 122: History of U.S. Since 1877, Introduction to Linear Dynamical Systems, Philosophy, Historical Jesus, Journalism and America's Jesus. Its course content is majorly from the continuing studies division and includes a few of undergraduate courses. UC Berkeley: an example of its content is History 5: European Civilization from the Renaissance to the Present. The institution offers a number of courses as iTunes U; hundred of lecturers, and recording of symposia, special events, panel discussions among others. Yale University: some of its works include; How to Write a Business Plan, and Law among many others. Most of Yale University's open course program content are available on iTunes U. Open University: some of its works include; Exploring Learning and Teaching in Real and Virtual Worlds, L192 Bon départ: Beginners' French Introduction, L194 Portales: Beginners' Spanish, L193: Rundblick: Beginners' German. The Open University has devoted itself to ensuring more and more of its content is posted in i Tunes U. University of Oxford: examples of its works include; General Philosophy, Chemistry Quantum Mechanics, Cancer in the Developing World, Building a Business: Entrepreneurship and the Ideal Business Plan. Students and learners in general will definitely benefit from these resources. New Jersey Institute of Technology: 28 courses as of February, 2010, they have posted courses on science and technology, with a few on Literatures. University of California, Davis: as of February 2010, it had posted 19 courses, most of which are on computer science, psychology and biology. These are just a few among the some many institutions that have great content on iTunes U. It is not easy to enter the gates of such prestigious universities like Yale, Oxford, Cambridge, Harvard and MIT among others. Apart from the rigorous process of admission, the cost for many is a key factor that hinders many from joining such institutions. With iTunes U, none need to have an excuse for not having the knowledge that is requisite for performance from these and many more other institutions. Whatever subject or course, however simple or advanced, there is plenty of information that will see you get an understanding of each topic, course or lecture. For a teacher, having students watch course content from other universities like Harvard, Yale and MIT before coming to class could help enhance the understanding of course content. Once they are in class, the teacher could now engage them in much deeper and reflective learning. Research indicates that the use of the senses for learning and especially seeing and hearing helps learners grasp concepts easily. In case one wants to incorporate video files and audio files for their class, the best option would be to use iTunes. iTunes offers great storage for such files, especially for those listed in UTexas domain. The students could then review the content before class and then the teacher would do further explanation in class. The time stamped notes inside a video feature that iTunes U is a great tool that teachers as well as students could make use of in enhancing their learning experience. iTunes U couldn't be any better than what the interface offers; it is user friendly, you do not need any training for you to go through the page. To start with, you will need to get iTunes installed in their computers. It is available for Mac operating systems and windows operating systems; whichever one suites you download it. On the toolbar that is across the top of the main page, select ‘iTunes U'. With this you are in iTunes U. Once inside, there are categories through which you could browse to find the information you need. They include: selection by school, subject, most downloaded and lastly noteworthy courses. The content is in the form of PDF, videos, audios, series of lectures and ebooks. Select the format in which you want the content and download it. 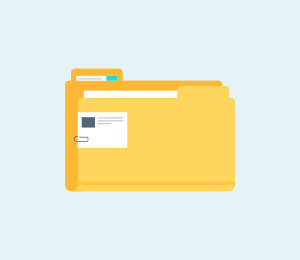 These resources once downloaded can be used via a computer, an iPad, or iPod. Q1. Where can one find the iTunes U app? Answer: The iTunes U app can be freely downloaded from the app store on an iPad, iPhone and iPod. Q2. Can the iTunes U app be found any country that has an app store? 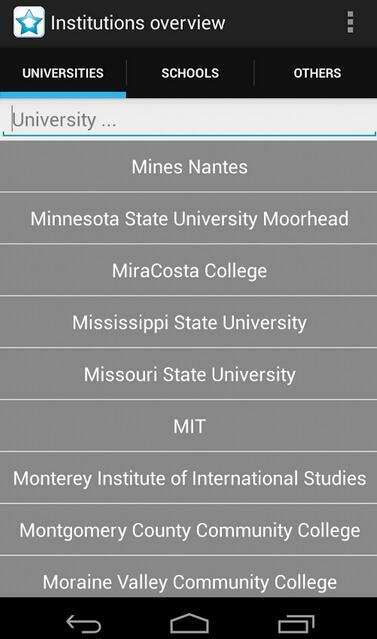 Answer: Yes, the iTunes U app can be found in any country that has an app store. Q3. What do I need in order to use the iTunes U app? Answer: iTunes U app. You need to have Ios 5 or iTunes 10.5.2 or later if you are using an iPad, iPod and iPhone. You must have an account with iTunes store for you to download content from iTunes U catalog. Q4. How can one access the iTunes U app catalog? Answer: On the iTunes U app, tap on the iTunes U icon to view your bookshelf. 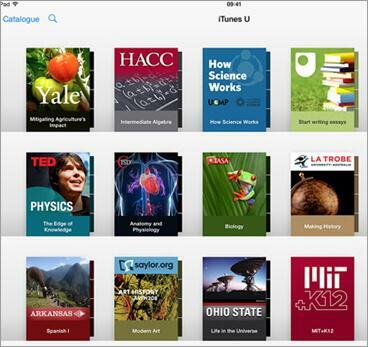 In the upper corner of your bookshelf, tap the catalog button to reveal the iTunes U catalog. The catalog offers more than 800,000 free course content inform of lectures, films, videos and other learning. Q5. Are the courses and content on iTune U downloaded right to my iPad, iPod and iPhone? Answer: Yes, when you tap the download button on your iPhone, iPad and iPod, the item is automatically downloaded to your bookshelf. Q6. Can I use my computer to download content from iTunes? Answer: Yes you can, but there is content that would need the iTunes U app to be available, it would be good if you have the iTunes U app. Q7. Can one back up content that is downloaded from iTunes? Answer: Yes, the content that you download from iTunes U catalog is available for making a backup whenever you are able to synch your device with a computer. Answer: iTunes U does not limit the content that one can download on their bookshelf on their device; it all depends on the space available on your device. Q9. What if I do not find my instructors course content on iTunes U? Answer: If for one reason or another you are not able to find your instructor's course content, you may need to contact him for the course URL, key in the URL into your browser to access the course content. Q10. 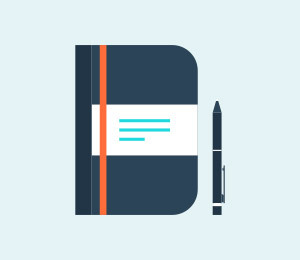 Can one create notes? Answer: There is an inbuilt notes tab on iTunes app that enables users to create notes for a given course, access bookmarks and book notes, and also highlight content in books for a given course using the notes tab. To use this feature, go to the notes button and tap on book notes. Q11. Does the iTunes U app play videos and audio files included in the course content? Answer: Yes, iTunes plays all videos and audio files included in whatever content found on iTunes. Q12. Is there any valid alternative to iTunes U for Android? Answer: Yes, there are several alternatives to iTunes U for Androids, e.g, tunesviewer, TED etc. Q13. Can iTunes U be used on Android? Answer: No, not now, it is only designed to be used on Apple products. Recent news reveal that there are plans by Apple for the same in the future. 1. SynciOS: This is a free app offering an alternative to iTunes. 2. PodTrans: This app scores highly with regards to transferring files from a computer to any given device. It is used to transfer songs and videos to iPads, iPods and iPhones that do not have iTunes without erasing original content. Unlike iTunes, it can still be used to transfer file from mobile devices back to the PC-iTunes cannot do this. 3. Ecoute: The widget is customizable controlling your music and importing music, movies as well as podcasts. 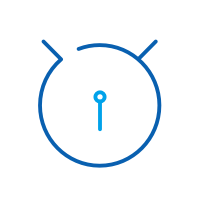 It offers connectivity with social media platforms. Air play supports streaming music and the inbuilt browser enables for music selection iTunes library for playing. 4. Hulu Plus: This app enables you to enjoy classic series including Battlestar and Lost Gallactica over WiFi, 4G or 3G. It can keep the tracts of what you watch and go on to watch the next part. 5. History: It provides youw with lots of episodes. If you have many episodes want to watch most, you can create a watchlist for them. Inaddtionally, you can explore selection of clips about the most fascinating categories of history. 6. Plex: It helps to manage your personal media no matter where you keep it. That lets you enjoy your media on any device. Besides, you're able to stream music, videos, photos and home movies to your iPhone, iPod Touch or iPad from your home computer running Plex Media Server. There have been thoughts from individual stakeholders as to the probability of Apple having their itunes on Android. Such thoughts have been voiced by Steve Wozniak the co-founder of Apple. Interestingly, Apple owes its growth from the initial Macintosh Company to its current status to the start with iTunes and iPad (this is despite the late Steve Jobs having said such a move could only happen ‘over his dead body'). This business bounced Apple to higher heights of business in fact doubling its market share. iTunes was ported to windows enabling many users to access the services with much ease. While this served to net in a higher percentage of Windows users, those who are on Android may not have the pleasure of using iTunes U. Well, in the light of their history, Apple may need to rethink its strategy as regards building walls around their iOS and OSX. Android users would therefore miss on iTunes videos, iBooks, and iPhone apps among others. So what could be the underlying reasons for the lack of iTunes on Android? First among the reasons for iTunes not being on Android is the challenge that comes with working with other companies. 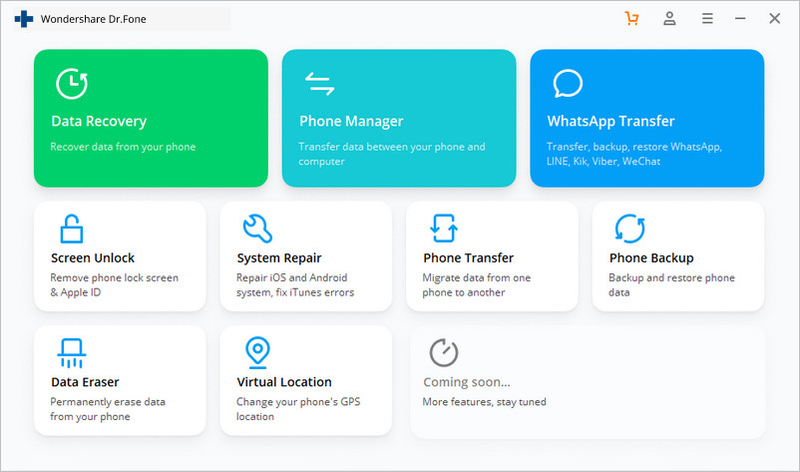 While migrating iTunes to Android is a matter that could take just a little time, such a move could give some credibility to the platform that it would be migrating to. Apple is not interested in bestowing such hard-worked for credibility on a third-party platform. Secondly, iTunes is not a key income earner for Apple. Take for instance iTunes U; it is offered absolutely free of charge. Apple earns much from its hardware than software. Such services as iTunes are meant to strengthen their brands in the market. Migrating to Android would surely be strengthening the competitor's products. Thirdly, Apple uses iTunes to ‘lock in' its users through the personalized investments of users in the itunes music and movies as well as educational materials. Users usually have to think twice before changing to another platform. Migrating iTunes to Android would make it easier for clients to switch from Apple's platform to another which would hurt the business. Lastly, while Steve Wozniak (the co-founder of Apple) has such ideas, he no longer is with Apple. This poses the challenge with regards to Apple taking up such an idea, personalize it and drive it to successful implementation-it is unlikely that Apple would listen and implement this idea. 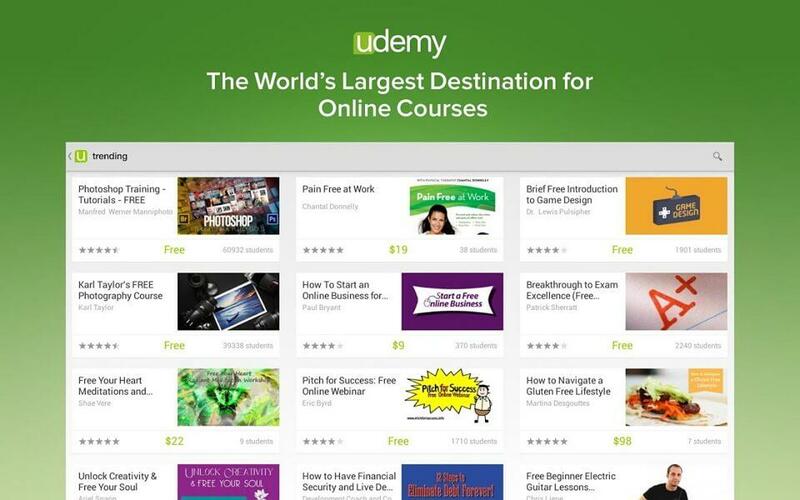 Udemy makes for the world's largest platform for on-demand online courses. 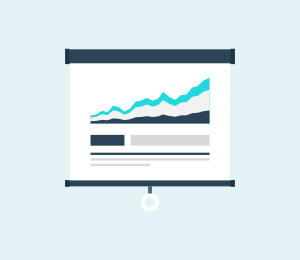 Anyone wanting to sell a course online-Udemy would be the perfect place for them. Udemy boasts of over 3 million students with 1000000 student membership per month. 16,000 plus courses that covers almost anything ranging academia to self taught and interested topics. The platform is user-friendly and makes it easy to search for the courses. It is free to contribute courses on Udemy and students have the advantage of viewing all courses of their favorite teachers. For teachers, Udemy offers a platform for earning from ones' courses. TED is an esteemed non-profit organization that shares ‘ideas worth spreading'. It features some of the most popular speakers-TED avails more than 1000 18 minute inspirational speeches. It covers such topics as technology, entertainment, business, design, social justice and science among others. 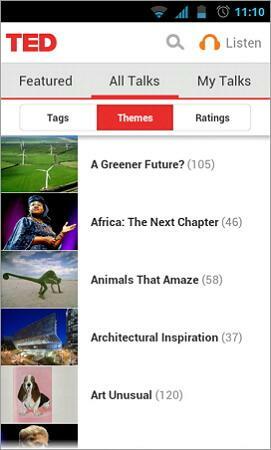 TED has a user-friendly interface with "featured TED talks" at the center and front and also has a tab that enables users to browse through the entire library through different categories. TED has videos with subtitles in several languages. Creat courses and browse categories and contents like materials, course videos, audio recordings, news, and more. Save media on your device for watching offline. dr.fone - Transfer is great tool to help you sync iTunes U, audiobooks, podcasts, music and more from iTunes to Android device. Simply download and have a try. Step 1: Launch dr.fone and connect your Android phone or tablet to PC. Click "Transfer" to continue. 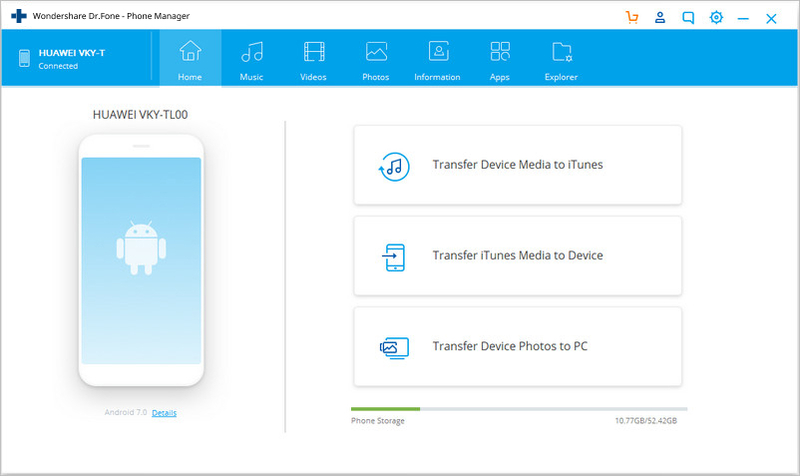 Step 2: In the Transfer screen, click Transfer iTunes Media to Device. 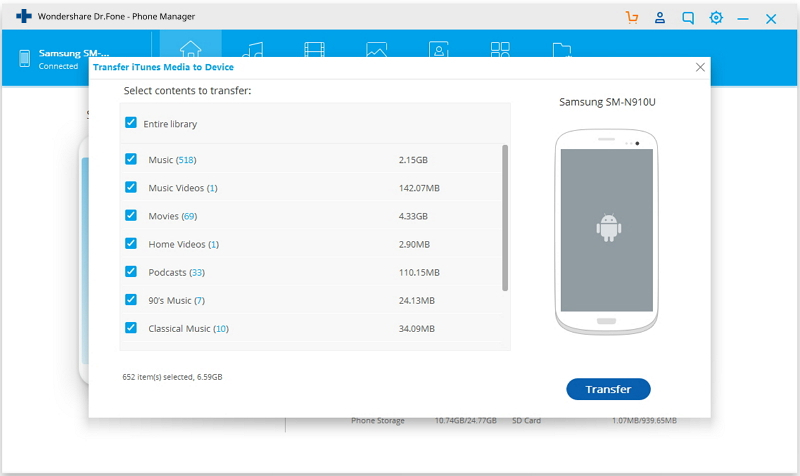 Step 3: Check options and start to copy media from iTunes to Android. All the iTunes files will be scanned and will be shown under different categories like music, movies, podcasts, iTunes U and others. At last, click "Transfer". This article lists the best websites from where you can download apps for Android.Choose the best free Android apps from 20 Android apps download websites.